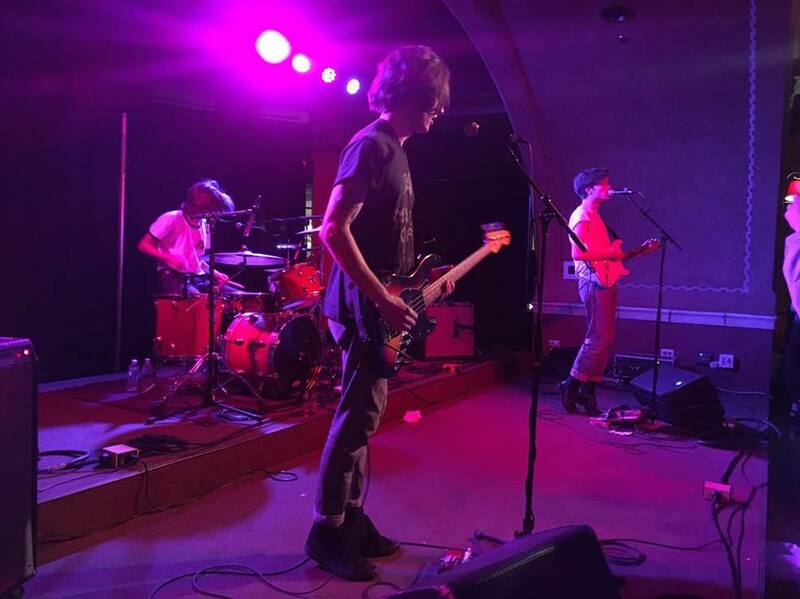 Rock band Vundabar played Der Rathskeller Friday with opener Slow Pulp, a local Madison band. Their performances rocked Memorial Union and left the audience on an adrenaline high. Opening act Slow Pulp got the night started off right. They played a dreamy, lo-fi set that brought in a large audience. Many people in the audience knew all the words to their garage pop songs and even the people who didn’t were swaying, grooving and jumping to their chill, yet energetic music. Then Vundabar took the stage. 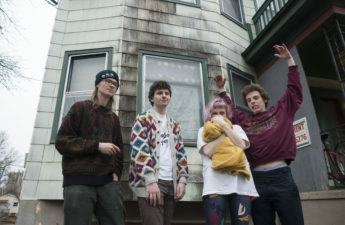 Vundabar has three members: Brandon Hagen on vocals and guitar, Drew McDonald on drums and Zack Abramo on bass. Each of them looked effortlessly cool and casual sporting jeans and t-shirts, and their vibe was reflected through this look. They seemed to have a casual camaraderie with members of the audience instead of creating a wall between artist and listener. They didn’t seem like a world-touring band with around 68,000 Spotify listeners per month, but instead like some friends putting on a house show. Despite Vundabar being a somewhat smaller band, they had a huge stage presence and booming sound that reverberated through the Rath. 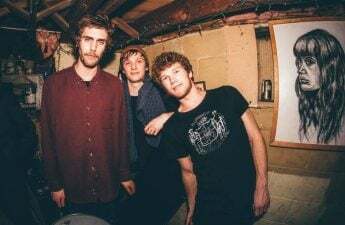 Their songs are filled with catchy falsetto hooks and heavy guitar paired together, existing somewhere between a catchy pop sound and a jangly garage band. At another break, they stopped to show a “trick,” where band leader Hagen bet he could do a 360. By this, he meant turning his guitar all the way around his body, which received lots of laughter from the audience. At one point, Abramo invited an audience member on stage to play the bass for the band while he took a short break to enjoy some beer and bop around the stage. The rest of the band played a little 30-second interlude while their guest attempted to play bass and enjoyed being part of the band for a short while. During one of the band’s head-banging songs, the audience began a rowdy mosh pit in the usually rather calm Rathskeller, with people flying into one another and loving it. A cracked iPhone appeared on stage and the band held it up to be claimed. The audience member that it belonged to called out, saying they should leave it on stage. This moment marked the trademarks of the show: a cracked iPhone showing a wild, hype and fun atmosphere and the audience interaction showing yet again the encouragement of a connection between the band and crowd. By the end of the show, the whole audience was dripping in sweat and covered in spilled beer, yet still passionately chanting, “Three more songs!” Needless to say, this show was quite a success.